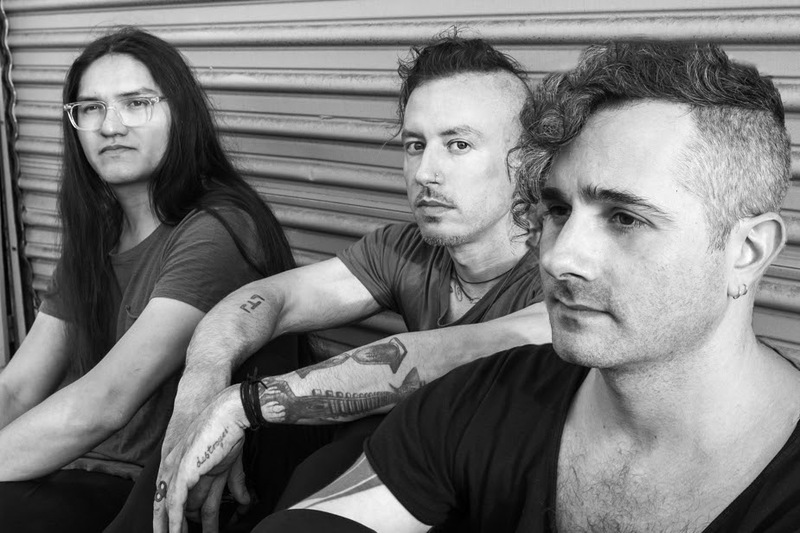 Los Angeles – Sept. 14, 2018 – The Black Queen, the LA-based electro-alternative trio Out described as “a euphoric musical experience” and Rolling Stone dubbed “chilly yet romantic synth-pop,” share a video for “Thrown Into The Dark” via Revolver (https://www.revolvermag.com/music/see-black-queens-stark-moody-new-thrown-dark-video). “This is a song, we made a video,” explains Greg Puciato (ex-The Dillinger Escape Plan). Steven Alexander Ryan (Nine Inch Nails/A Perfect Circle technician) adds, “We like it.” TBQ is rounded out by Josh Eustis (Telefon Tel Aviv). Pre-orders are available now via theblackqueen.com.